Rear Admiral John Adolphus Bernard Dahlgren was a major Civil War naval officer whose squadron command tenure in the South Atlantic was not without controversy. 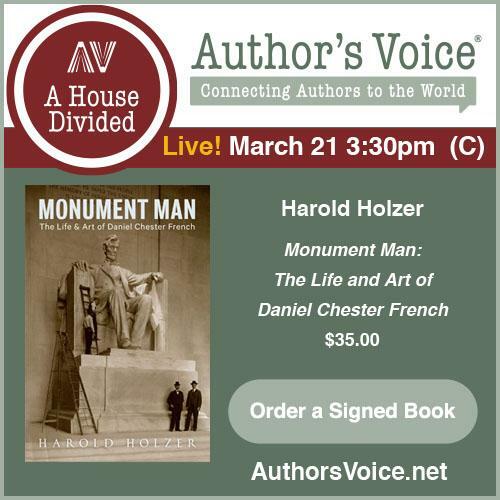 Addressing critics of his actions off Charleston was one of the reasons behind the writing of his 279-page autobiography, which currently resides in the archive collections of the Navy Department Library located at the Washington Naval Yard. As far as I know, The Autobiography of Rear Admiral John A. Dahlgren (No. 8: Contributions to Naval History series, Naval History and Heritage Command) is the first version of the manuscript to appear in print. 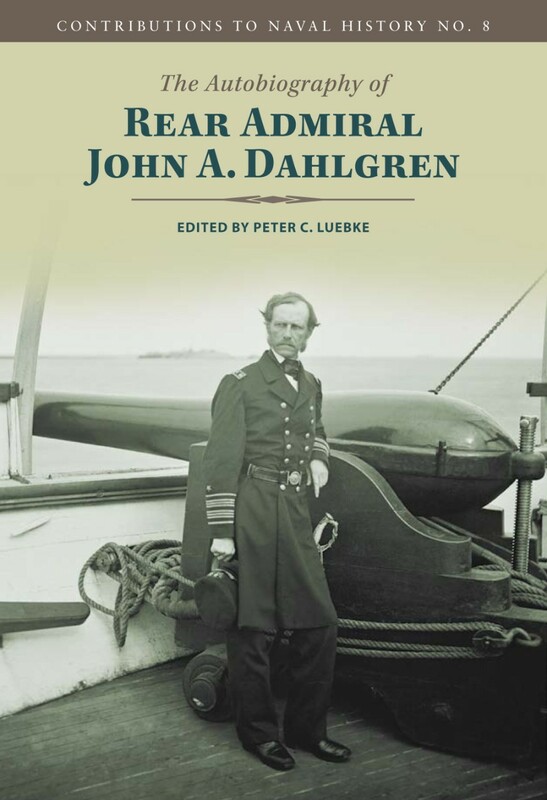 From the description: "Dahlgren’s legacy in the Navy was profound and lasting, primarily for his role in designing and developing the weapons and ammunition that enabled the Union Navy to emerge victorious at sea and on the inland waterways during the Civil War. Because of this, when the Naval Surface Warfare Center Dahlgren was established during World War I in 1918, and which to this day designs and tests most of the Navy’s shipboard weapons, it was named in honor of John A. Dahlgren." In addition to transcribing the manuscript in full, editor Peter Luebke contributes an introduction, footnotes, a pair of appendices, and index. The first appendix is a copy of a letter from General W.T. Sherman to Dahlgren, which defends Dahlgren from one of his major critics, Maj. Gen. Quincy Gillmore. 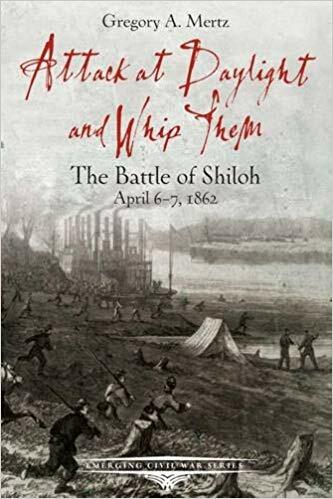 The other appendix consists of Dahlgren's own lengthy description of the Charleston harbor defenses, which was originally written for historian John Draper and is more detailed than the one contained in the autobiography. The seven-chapter manuscript itself largely focuses on Dahlgren's Civil War career but also touches upon his early life and antebellum ordnance department work. The volume also contains numerous archival photographs, maps, and drawings. Apparently hard copies of the book are available for purchase from the government printing office, but I couldn't get the link to work. Anyway, you can access a free .pdf version by clicking here. Author Q&A: Cory Pfarr and "Longstreet at Gettysburg: A Critical Reassessment"
While I get the impression that the majority of Civil War historians and readers today hold generally positive views overall regarding the generalship of Lt. Gen. James Longstreet, some sticking points remain. With Gettysburg enshrined as the great battle and turning point of the war, postwar southern partisans searching for someone other than Lee to blame for the costly Confederate defeat found a convenient target in Longstreet. Many of these early critics had a lasting influence in the public mind and in print. In his newly released book Longstreet at Gettysburg: A Critical Reassessment (McFarland, 2019) author Cory Pfarr "argues that Longstreet's record has been discredited unfairly, beginning with character assassination by his contemporaries after the war and, persistently, by historians in the decades since." His book aims to present readers with "an alternative view of Longstreet as an effective military leader," and refute "over a century of negative evaluations of his performance." Mr. Pfarr has graciously agreed to join CWBA for an Author Q&A session. DW: Welcome, Cory. 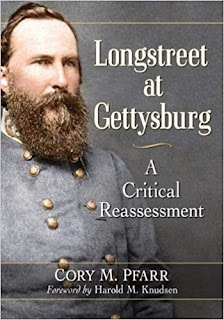 Your book description (and I realize you didn't write it) states that Longstreet at Gettysburg is the first truly in-depth treatment of the topic. I couldn’t come up with anything to challenge that until a reader reminded me of Glenn Tucker’s Lee and Longstreet at Gettysburg (1968). First, what is your opinion of Tucker’s book, and, second, are you surprised there haven’t been multiple studies of this sort produced by now? CF: I have a very high opinion of Glenn Tucker’s work, both his High Tide at Gettysburg (1958) and Lee and Longstreet at Gettysburg (1968). 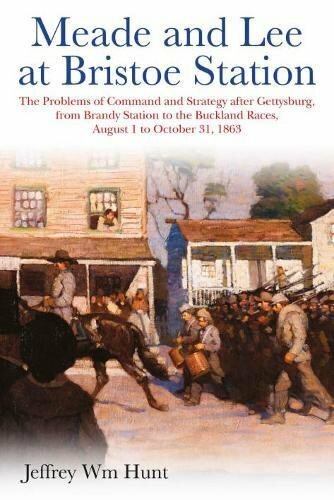 I think they are two of the best works published to date on the Longstreet-Gettysburg controversy and of the battle in general, and they are thankfully absent much of the group-think analysis (especially when it comes to the Confederate side) present in many published works on Gettysburg before and since. It is often quite surprising to me that even when Gettysburg historians oftentimes cite Tucker in their bibliographies, their works frequently do not actually reflect much of Tucker’s astute analysis–perhaps likely for the very unfortunate reason he was not an academic historian. Tucker was and has been a relatively lesser-known diamond in the rough for Gettysburg scholarship. Interestingly, William Garrett Piston’s original full advance review for my book started with “Cory M. Pfarr is a worthy successor to Glenn Tucker…” The publisher edited out this reference, likely and tellingly because they probably thought not many people would know who Glenn Tucker was. Tucker should be given significant credit for beginning the restoration of Longstreet’s military reputation, especially when it comes to the general’s performance at Gettysburg, which had been inaccurately and unfairly pilloried by a number of high-profile historians after Longstreet’s death in 1904, namely Douglas Southall Freeman, Bruce Catton, Clifford Dowdey, and Edwin Coddington. Though Tucker’s Lee and Longstreet at Gettysburg examines a few of the same controversies discussed in my book, I think readers will come to find Longstreet at Gettysburg: A Critical Reassessment is appropriately described as “the first book-length analysis” of Longstreet’s actions at Gettysburg. I have always considered Tucker’s 1968 work as more a series of essays and never specifically intended to be a cohesive analysis of Longstreet’s performance at the battle–in fact, the foreword describes the book as a “supplement” to High Tide at Gettysburg, born out of a “ripening appreciation of the competent but largely unrecognized service of some of Lee’s generals,” not just Longstreet. There are several chapters in Tucker’s book, perhaps eight or nine, that have little to do with Longstreet directly. In no way is that statement a critique of the work; to the contrary, I am simply pointing out the differences between Tucker’s book and my own. Additionally, a large part of what makes Longstreet at Gettysburg unique is its historiographical analysis of how many modern historians since Tucker’s time have for the most part continued to perpetuate and lend credence to the same anti-Longstreet arguments advanced in the postwar years (after Lee’s death in 1870) and by the aforementioned historians in the early-to-mid twentieth century. 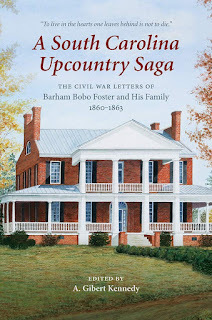 On your second question—yes, I was surprised that by the time I decided to take on this project in December 2014 no book had yet been written to specifically cover the topic of Longstreet at Gettysburg. As I began the research phase and spent over a year examining primary sources for the book, it became quite clear to me that most general histories of the battle and books about Longstreet that sought to examine his actions at Gettysburg have seemingly ranged in accuracy from imprecise to erroneous, and from partiality to conjecture. It was especially surprising to me that no one had yet seen fit to address several inaccuracies on the topic comprehensively and on a point-by-point basis. It is my belief this absence of a precise analysis of Longstreet’s significant role at Gettysburg, unfortunately for students of the war, has long produced a skewed understanding of the battle as a whole. It is my hope that future Gettysburg scholarship will change course and not repeat several obvious and some not-so-obvious missteps when addressing Longstreet’s Gettysburg performance. DW: Can you talk a little bit about the source(s) that most influenced your own position on Longstreet’s generalship at Gettysburg? Is there any particular historian whose views most closely align with your own? CF: I would start first and foremost with the primary source record, especially E.P. Alexander’s postwar memoirs, Military Memoirs of a Confederate and Fighting for the Confederacy, along with Lafayette McLaws’ plentiful postwar writings on the subject. That said, contrary to how many historians have described Alexander’s writings over the years, they are not devoid of glaring contradictions from one account to the next. In not recognizing or pointing out these differences, historians have neglected to afford students of the war with a precise and comprehensive analysis of key controversial events having to do with Longstreet at Gettysburg, especially the First Corps March on the Second Day and the night of July 2 issue over whether Longstreet received specific attack orders for July 3 during the overnight hours. Likewise, historians who are critical of Longstreet’s actions at Gettysburg have regularly drawn attention to McLaws’ post-battle letter to his wife about his thoughts on his chief’s Gettysburg performance (there is a whole chapter in the book specifically devoted to this letter), while leaving out crucial analysis McLaws provided in the postwar years that regularly contradict that letter. In fact, Robert Krick, Longstreet’s most scathing modern critic by far, has stated that McLaws provided “key testimony” on Longstreet at Gettysburg; however, on a subject like the First Corps March where McLaws validated Longstreet’s claims at every turn, for whatever reason, Krick did not see fit to draw attention to McLaws’ “key testimony.” I will let critical readers speculate as to why. Additionally, and I know this will likely trigger some in the historical community and those who still support the Lost Cause ideology on Lee’s Warhorse, Longstreet’s postwar writings are vastly underrated as reliable sources. Indeed, many historians seem to have fallen hook, line, and sinker for the postwar Lost Cause, anti-Longstreet group argument that his writings cannot be trusted and differed greatly from one account to the next. To the contrary and based on my reading of all of Longstreet’s postwar accounts on the battle in detail, they are on the whole reliable and consistent. This begs to question, have many historians actually read these accounts before casting judgment on them, or are they seemingly trusting what their peers have said in other secondary sources? The two historians who I know for certain have read them in full are Glenn Tucker and William Garrett Piston. Indeed, in perhaps my favorite quote from Tucker’s Lee and Longstreet at Gettysburg, he states of historians’ treatment of Longstreet’s postwar writings, “Dwelling on the minor variations smacks of pettifoggery.” Likewise, William Garrett Piston writes of them, “While his account of the battle was not without errors, it was essentially accurate. Indeed, his writings might have won considerable approval had he taken into account, when composing them, that Lee had become a saint.” To quickly answer your second question, as far as secondary sources on Longstreet’s performance at Gettysburg, Tucker and Piston’s views most closely align with my own. Lastly, I would be remiss if I did not mention Helen Longstreet’s work, Lee and Longstreet at High Tide, which offers many shrewd observations and astute analyses of Longstreet’s actions at Gettysburg. Again, for whatever reason, her thoughts have rarely, if ever, been mentioned in histories of the battle. DW: Just for the sake of framing the overall scope of discussion, can you briefly list the most significant criticisms leveled against Longstreet (then and now) for his conduct during the Gettysburg Campaign? • Longstreet was inconsistent, exaggerated, or lied in the postwar years about his pre-campaign discussions with Lee regarding the intended tactical approach for a general battle. • Longstreet’s divisions of Hood and McLaws were slow to reach the battlefield on July 1, precluding Lee from launching an attack on Cemetery Hill in the evening hours. • Longstreet intentionally dragged his feet and sulked throughout the morning of July 2 because Lee did not adopt his tactical suggestions on the evening of July 1 and early morning of July 2. Longstreet critics allege Lee intended and was ready to attack in the morning hours, and that the Confederates would have been more successful if they would have launched their attack in the morning. • Longstreet relinquished command of his corps to Captain Samuel Johnston, Lee’s engineer who had conducted numerous reconnaissance of the extreme Confederate right, during the First Corps march on July 2. Critics allege Lee did not order Johnston to guide the First Corps column on a concealed march to the extreme Confederate right. • Longstreet should have used E.P. Alexander’s “path across fields” near Black Horse Tavern during the First Corps March on July 2, instead of countermarching. 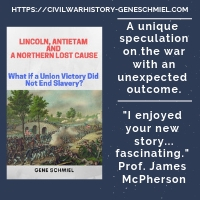 • Longstreet ignored attack orders for July 3 he allegedly received during the overnight hours of July 2, and as a result delayed the Confederate’s July 3 attack. • Longstreet did not make necessary preparations to support the Pickett-Pettigrew-Trimble Charge with advanced artillery and additional infantry support, as was allegedly ordered. DW: Which ones do you feel still hold sway with today’s readers? 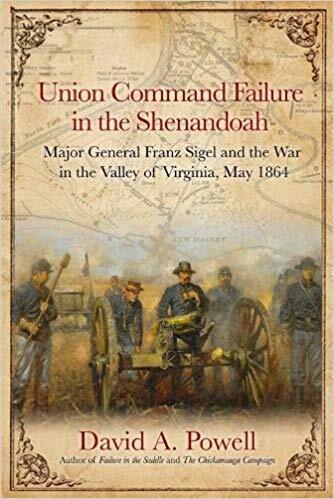 CF: Because readers have been so heavily inundated with much of the same group-think analyses for well over a century about the lead up to Longstreet’s July 2 attack, I think allegations leveled at the general over the morning of the Second Day and the First Corps divisions’ march and countermarch on the afternoon of the 2nd have been the most enduring by far. More widespread attacks on Longstreet over the Third Day are a bit of a more recent development, especially the controversy over whether Longstreet received attack orders during the overnight hours of July 2. Along with that charge, the claim Longstreet was inconsistent, exaggerated, or lied about his pre-campaign discussions with Lee over tactics probably rounds out the top accusations against Lee’s Warhorse that have held the most sway over readers. DW: Readers and authors alike have developed a habit for labeling historians as pro-X or anti-X when it comes to assessing controversial Civil War generals. Was that something you consciously avoided in your book? CF: Yes, I did, as much as possible. Though I do use the term “pro-Longstreet” or “anti-Longstreet” in some instances in the book, it was only with the intention of using a different term to describe those who have been more supportive or critical of the General. In Gary Gallagher’s Acknowledgements section to E.P. Alexander’s Fighting for the Confederacy, he actually describes Robert Krick as a “confirmed Jackson and Lee man.” I think that dividing authors up by pro and anti-camps is detrimental to the reader’s experience and inhibits their ability to objectively and critically judge a work on its own merits. Indeed, for me, I respect both Jackson and Longstreet’s accomplishments during the war and acknowledge that both also made their fair share of mistakes. I think a number of historians have perhaps not shown they possess the same agenda-less approach in their own works. Many historians have seen fit to regularly advance their opinion that Longstreet exaggerated his role and accomplishments in the Army of Northern Virginia in some of his postwar writings, especially his memoirs, From Manassas to Appomattox. That claim may be true to a certain extent (and I point out a few examples toward the end of my book), but those same historians must equally, if not more so, acknowledge that Lee and Jackson’s wartime accomplishments have frequently been exaggerated and overblown in dozens of studies over the last century. DW: You divide your analysis into three main sections: (1) the campaign from inception through the end of Gettysburg Day 1, (2) Gettysburg Day 2, and (3) Gettysburg Day 3, so that might be a convenient way to divide up the next question. For the period of time encompassing the beginning of the Gettysburg Campaign through the end of July 1, can you point out a particular historical charge that you feel unjustified in its condemnation of Longstreet and talk a little bit about how your book addresses the topic? CF: Many postwar writers and historians since have sought to discredit Longstreet’s post-battle and postwar contentions that he and Lee had come to an understanding that the guiding principles for the campaign should be strategically offensive and tactically defensive. Instead of focusing on how consistent Longstreet was in all of his accounts—ranging from his July 24, 1863 letter to his Uncle Augustus to his 1895 memoirs—that the army should conduct a campaign based on the strategic offensive and tactical defensive, while seeking to identify good ground between the federal army and Washington and receive their attack, many historians have decided to focus on the actual language Longstreet used in his writings, deeming it egotistic, like his use of “I [Longstreet] then accepted” or “to this he [Lee] readily assented.” Longstreet employed numerous ghost writers in the postwar years and the use of many specific words and phrases were very likely not his own; though, regardless of that fact, historians seem to brush over the main takeaway point that Longstreet’s claims were essentially consistent throughout all of his post-battle writings on the topic: offensive in strategy, defensive in tactics. Some historians have even gone further and tried to prove Lee and Longstreet never came to this understanding by way of two primary sources that have either been misread or deliberately misused multiple times, by multiple authors: Longstreet’s pre-campaign letter to Texas Senator Louis T. Wigfall and William Allan’s 1868 interview of Robert E. Lee. I analyze each of these primary sources in-depth and attempt to point out how historians have clearly misrepresented them to students of the war. DW: Please do the same for Longstreet and July 2. CF: After Jubal Early and William Pendleton’s July 2 “Sunrise Attack” theory—the opening salvo against Longstreet over his alleged actions at Gettysburg made shortly after Lee’s death—was quickly and soundly debunked in the mid-1870s by numerous other ex-Confederate officers, a more subtle, alluring, and lasting allegation was concocted. The Lost Cause, anti-Longstreet group pivoted to the accusation that Longstreet dragged his feet during the morning hours and sulked over Lee’s non-adoption of his tactical suggestions. They claimed Longstreet’s obstinacy and slowness delayed Lee’s intended morning attack plan. This overarching claim is addressed in my book over the course of multiple chapters by emphasizing that Lee may have intended for many things for July 2, but he was never ready to issue attack orders until he ultimately did around the 11 a.m. hour. I discuss at length how numerous reconnaissance missions were conducted during the morning hours, which ultimately produced an inaccurate understanding of the Federal flank’s location and led to the misconceived plan of attacking “up the Emmitsburg Road,” where realistically there was no sizable Federal force until the 3 p.m. hour. Indeed, the ramifications of an attack up the Emmitsburg Road before that hour likely would have turned out very poorly for the Confederates, with multiple Federal corps on Cemetery Ridge staring down the assaulting battle line’s flank. 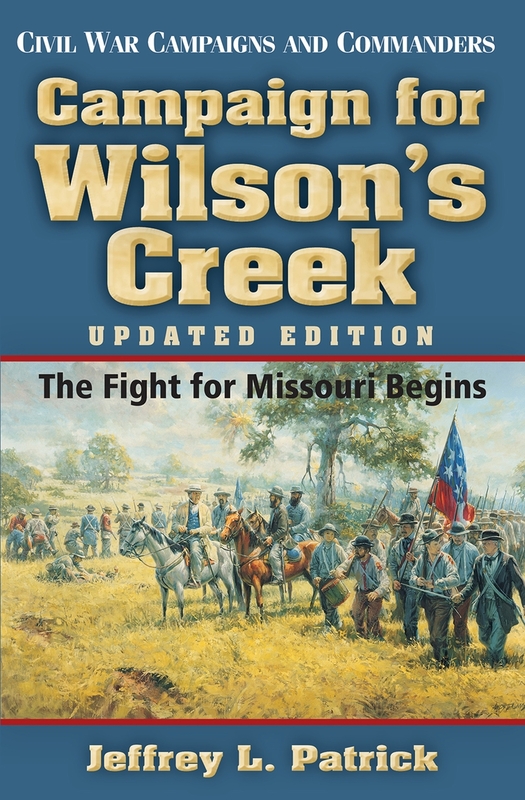 Additionally, the book goes into extensive particulars about Lee’s prolonged uncertainty about keeping Ewell’s corps positioned north and northeast of Cemetery Hill (and potentially moving it around to the right to reinforce an attack from there or maneuver further south in line with Longstreet’s suggestion). It also addresses his secondary hesitation as to whether they should initiate an attack from their left or right flank. Lastly, contrary to how many historians have framed Longstreet’s request to wait for Law’s brigade of Hood’s division before starting his men off to the right, this was not a unilateral decision, but rather stamped with Lee’s express approval. DW: And how about for July 3? CF: The most controversial issue involving Longstreet’s actions on July 3 were during the overnight hours. My book has an entire lengthy chapter devoted to this topic. To frame the controversy briefly, Longstreet critics have held that Lee sent his Warhorse specific orders on the night of July 2 to resume the attack over essentially the same ground sometime in the morning of July 3. The only account of this alleged order is Lee’s after-battle report stating that “the general plan was unchanged” from July 2, whereby instead of two-and-a-half fresh divisions attacking the Federal left as had occurred on the Second Day, now one fresh division would support Hood’s (Law) and McLaws’ spent divisions in a resumed attack on an even more solidified and reinforced Federal left. Some historians have even ventured to prove Longstreet received orders by way of using claims from one of E.P. Alexander’s memoirs, Fighting for the Confederacy. 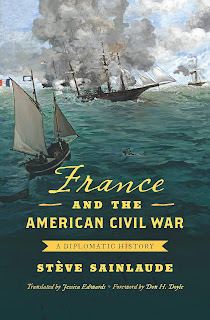 These same historians seemingly ignore Alexander’s other major postwar account, Military Memoirs of a Confederate, which is at complete variance with Fighting on this topic. My book not only analyzes the widespread differences between both of Alexander’s postwar accounts on this issue, but also addresses and challenges the specific details presented in Fighting. In all actuality, there is absolutely no proof Longstreet received any specific order during the overnight hours of July 2, other than Lee was planning to resume the offensive on July 3. In the absence of those specifics, Longstreet explored his options as to how he thought the Confederates could effectively resume the offensive on July 3; that is, until he met with Lee in the early morning hours of July 3. After a brief discussion, where Longstreet simply pointed out Hood and McLaws were the army’s right flank, Lee dismissed his original plan and immediately proposed a new multi-corps venture against the Federal center that ultimately turned out to be known as the Pickett-Pettigrew-Trimble Charge. DW: Of course, no high-ranking general puts in a perfect performance during any extended campaign. What do you see as Longstreet’s chief Gettysburg “sins”? CF: The first of two “sins” that stand out most to me was Longstreet’s support of “Stuart’s Ride” on June 22, 1863. Even though Longstreet recognized the error of the cavalry operation probably shortly thereafter and certainly in the postwar years, it is clear he supported it in mid-June, wrongly believing Stuart’s movement to the east would obscure the army’s larger movement north. That said, Lee’s supplementary order to Stuart on June 23 should have served to control the extent to which Stuart might insist on making the ride around the Federal army even if he encountered obvious hindrance. In not abiding by this supplementary order, Stuart left Lee without the only cavalry officer he wanted to depend on during the campaign. The second mistake is dependent on if Longstreet actually received specific orders from Lee during the overnight hours of July 2, which is currently uncorroborated. If Longstreet did indeed receive orders to attack in the early morning hours of July 3, he did not give Pickett’s division the proper attention in having them ready to support a renewed assault on the Federal left. Many historians would likely question my leaving out the execution of the July 3 Pickett-Pettigrew-Trimble assault to Longstreet’s list of mistakes, though I have several chapters addressing allegations and issues routinely brought up in the past, namely the principal issues of advanced main artillery line support (impractical) and alleged additional infantry support (dependent on observed success made by the Pickett-Pettigrew-Trimble attack). DW: What did Longstreet do most right or most effectively at Gettysburg? CF: I think it is beyond dispute that Longstreet delivered a crushing assault on July 2, despite all of the obstacles the Confederates faced during the morning and early afternoon hours, to include finally settling on an attack plan, getting the men to their jump-off points, and then refashioning an attack plan essentially on-the-fly upon discovering the Federal left flank was not anchored on Cemetery Hill, which is what the “attack up the Emmitsburg Road” attack plan presupposed. As I think Allen Guelzo correctly points out in his Gettysburg study, Longstreet’s July 2 attack should at the very least be considered as admirable an achievement as Jackson’s Chancellorsville flank assault, with both experiencing similar issues and odds. DW: Finally, where do you rank Longstreet on the list of Confederate lieutenant generals, and do you believe he was an overlooked option for army command? CF: I would rank Longstreet and Jackson at the top. I do not think a more talented high command existed in a Confederate army than the one that made up the Army of Northern Virginia from August 1862 to May 1863 with Lee, Longstreet, and Jackson. I do think Longstreet was probably overlooked for army command, especially after the Battle of Chickamauga. I do not put much stock in the poor results of the Knoxville Campaign as a basis for judging Longstreet’s ability for army command, which was essentially precipitated by Braxton Bragg simply as a way of ridding himself of Longstreet after the latter (and others) had expressed deep misgivings about the former’s fitness as an army commander post-Chickamauga. DW: Thanks, Cory! Readers, once again the title of the book is Longstreet at Gettysburg: A Critical Reassessment, published last month by McFarland. 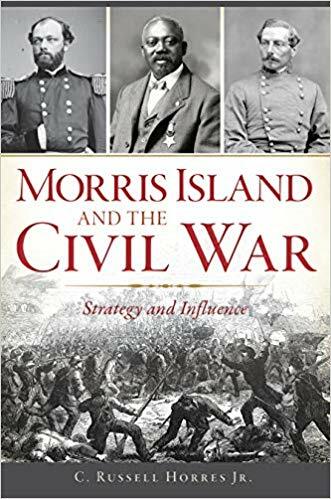 • Morris Island and the Civil War: Strategy and Influence by Russell Horres. 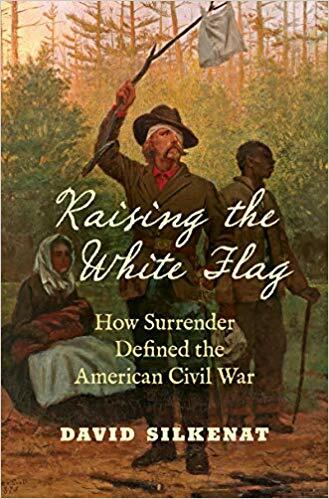 • Raising the White Flag: How Surrender Defined the American Civil War by David Silkenat. 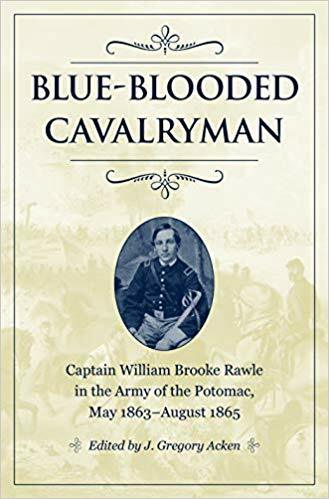 • Blue-Blooded Cavalryman: Captain William Brooke Rawle in the Army of the Potomac, May 1863–August 1865 ed. by Gregory Acken. • Women’s War: Fighting and Surviving the American Civil War by Stephanie McCurry. 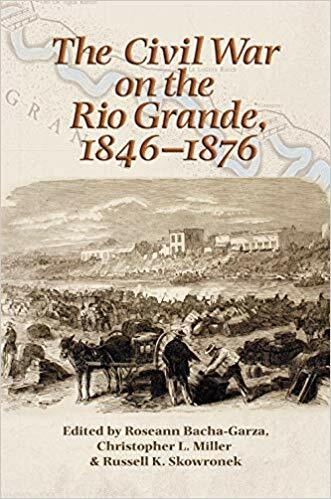 • Rosebud, June 17, 1876: Prelude to the Little Big Horn by Paul Hedren. • Life In Jefferson Davis' Navy by Barbara Tomblin. 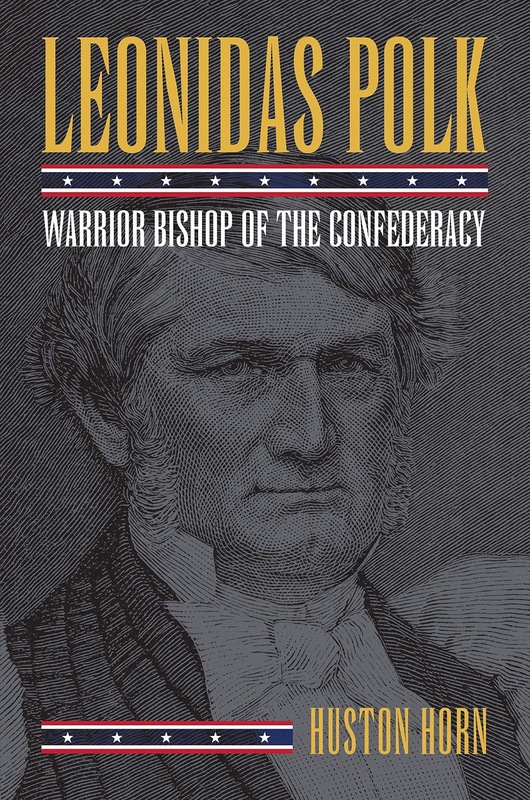 • Hold On with a Bulldog Grip: A Short Study of Ulysses S. Grant by Marszalek, Nolen, Gallo, and Williams. • An East Texas Family’s Civil War: The Letters of Nancy and William Whatley, May–December 1862 ed. by John Whatley. • The Vicksburg Assaults, May 19-22, 1863 ed. by Woodworth and Grear. • Michigan's Civil War Citizen-General: Alpheus S. Williams by Jack Dempsey. • An We Ob Jubilee: The First South Carolina Volunteers by John Saucer. During the Sesquicentennial, the Civil War stories of fifty individuals of varying backgrounds were published on a monthly basis in the magazine Our State: Celebrating North Carolina. 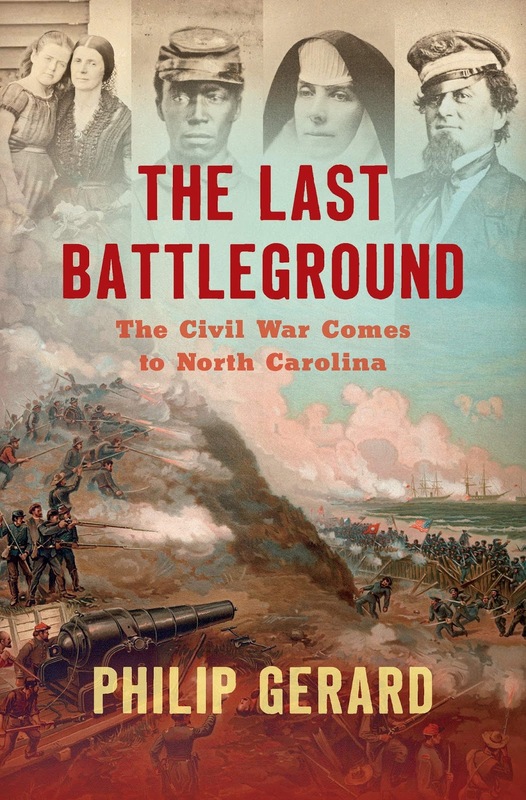 Their author, UNC-Wilmington creative writing professor Philip Gerard, has now anthologized the articles in book form under the title The Last Battleground: The Civil War Comes to North Carolina. "Distilled" from the original collection, the forty-three chapters comprising The Last Battleground are not narrative biography composed in the traditional format. What the reader will immediately notice is the present tense writing, "reporting the war as if it were happening in the present rather than with settled hindsight--to capture the dreadful suspense of lives caught up in a conflict whose ending had not yet been written." Another goal of the project was to present the ground-level picture of Civil War North Carolina using the broadest sweep of actors possible. 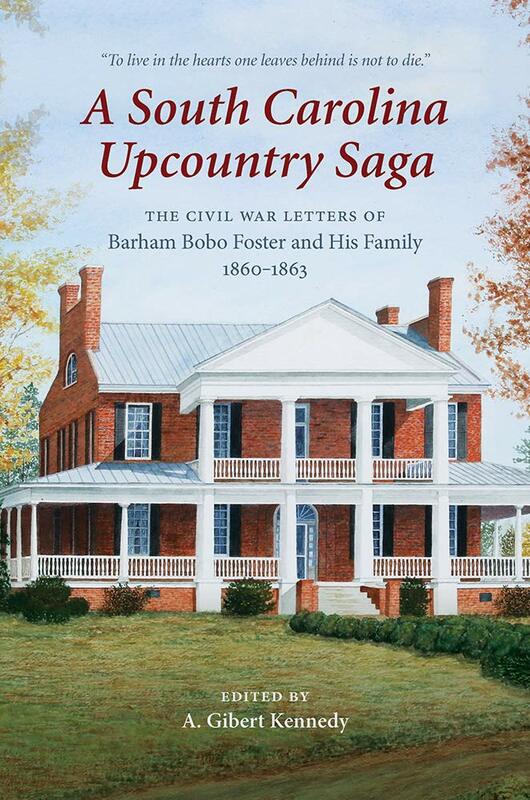 "To understand the long march of events in North Carolina from secession to surrender is to understand the entire Civil War--a personal war waged by Confederates and Unionists, free blacks and the enslaved, farm women and plantation belles, Cherokees and mountaineers, conscripts and volunteers, gentleman officers and poor privates. In the state's complex loyalties, its sprawling and diverse geography, and its dual role as a home front and a battlefield, North Carolina embodies the essence of the whole epic struggle in all its terrible glory." 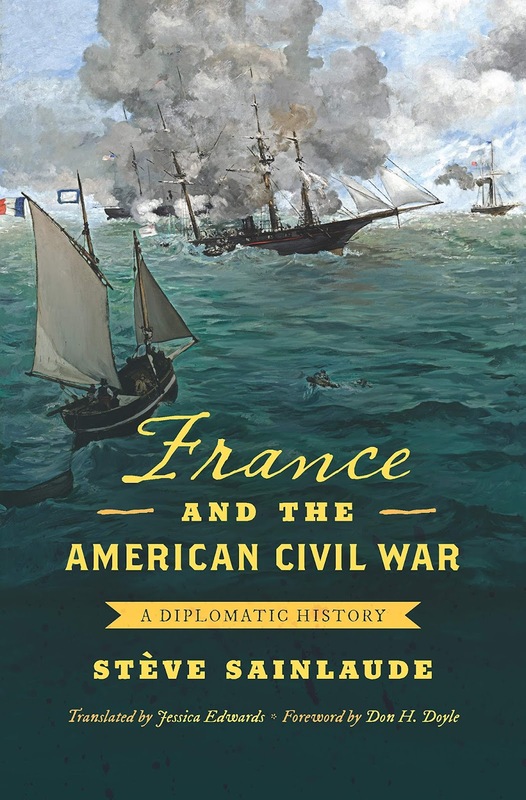 More: "As Gerard reveals, whatever the grand political causes for war, whatever great battles decided its outcome, and however abstract it might seem to readers a century and a half later, the war was always personal." • The Seventh West Virginia Infantry: An Embattled Union Regiment from the Civil War's Most Divided State by David W. Mellott and Mark A. Snell (UP of Kansas, 2019). "Though calling itself “The Bloody Seventh” after only a few minor skirmishes, the Seventh West Virginia Infantry earned its nickname many times over during the course of the Civil War. Fighting in more battles and suffering more losses than any other West Virginia regiment, the unit was the most embattled Union regiment in the most divided state in the war. 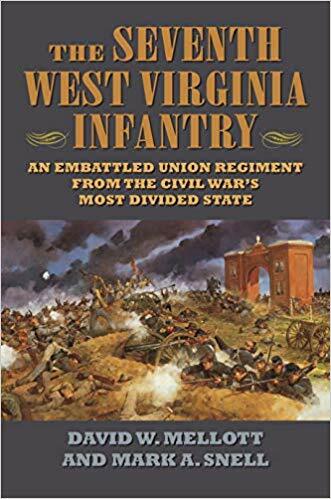 Its story, as it unfolds in" David Mellott and Mark Snell's The Seventh West Virginia Infantry: An Embattled Union Regiment from the Civil War's Most Divided State, "is a key chapter in the history of West Virginia, the only state created as a direct result of the Civil War. It is also the story of the citizen soldiers, most of them from Appalachia, caught up in the bloodiest conflict in American history." Though the regiment spent the early months of the war in the western Virginia highlands securing the B&O Railroad and other vital points, it was transferred east to the Army of the Potomac in 1862. It "fought in the major campaigns in the eastern theater, from Winchester, Antietam, and Fredericksburg to Chancellorsville, Gettysburg, and Petersburg." Integrating military, political, and social history, the study certainly appears to have all the qualities readers expect from better quality modern regimental histories. 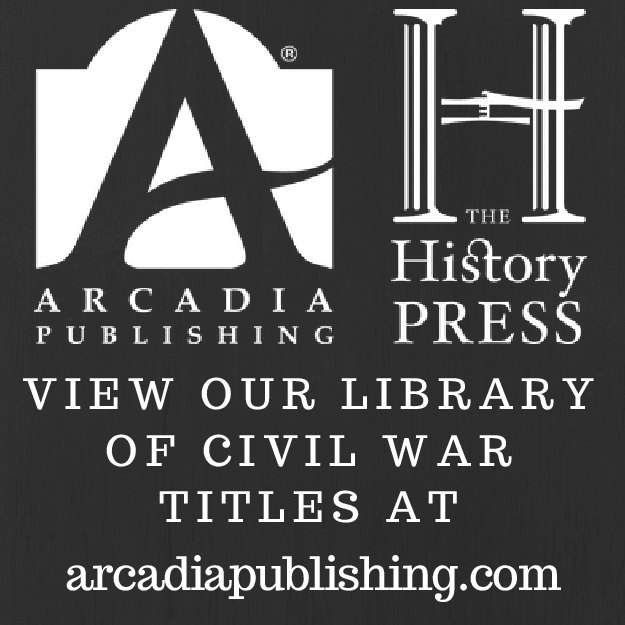 The Seventh West Virginia Infantry "details strategy, tactics, battles, campaigns, leaders, and the travails of the rank and file. 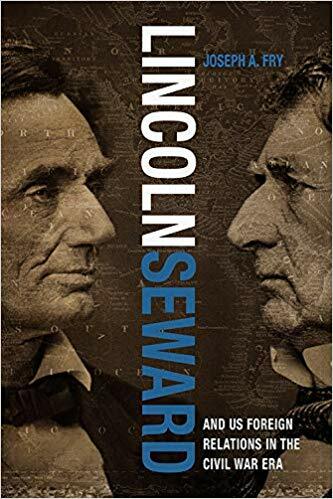 It also examines the circumstances surrounding events, mundane and momentous alike such as the soldiers’ views on the Emancipation Proclamation, West Virginia Statehood, and Lincoln’s re-election." Along with the rest, a rich portrait of those who fought with the Seventh also emerges from the study. 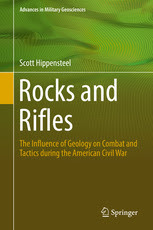 "The product of decades of research, the book uses statistical analysis to profile the Seventh’s soldiers from a socio-economic, military, medical, and personal point of view; even as its authors consult dozens of primary sources, including soldiers’ living descendants, to put a human face on these “sons of the mountains.” The result is a multilayered view, unique in its scope and depth, of a singular Union regiment on and off the Civil War battlefield—its beginnings, its role in the war, and its place in history and memory." This soldier information is sprinkled throughout, but the appendix section is also used for additional data presentation, with an age distribution graph and a trio of pie charts depicting birthplace, occupation categories, and hospitalization stats. Numerous photographs are included along with eleven maps.